It’s a known fact that all major cities in the world have traffic congestion problems. From bumper-to-bumper traffic in Sydney & London to the strangely functional chaotic streets of Egypt and New Delhi, traffic is a constant problem. But the main difference between other cities and Dubai is that they all have alternative modes of transport, which includes trains, an efficient train system, bus network, metro systems, bicycle lanes and ample sidewalks. Sydney even has an extremely efficient ferry service. Dubai, on the other hand, relies on its roads and on Google maps Dubai. Live traffic Dubai can reduce some of the frustration on the roads. With the Dubai Metro still under construction, other means of transport are coming forward. A water taxi service, new buses, improved train system, or if you live in Dubai, you may soon be able to fly and beat traffic woes with a helicopter service. Sadly only a few of the people use Google maps Dubai to navigate in the city. 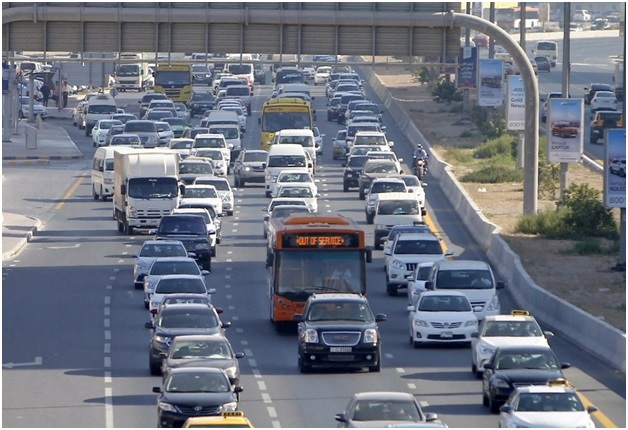 Dubai’s Roads and Transport Authority (RTA) compiled a report in February last year and concluded that traffic congestion in Dubai alone cost the economy $790m in wasted fuel. The current population of Dubai is 2,504,000 people and is expected to double by the year 2020, which will be an additional problem for the roads of Dubai. Although RTA plans to extend its construction to 500km on roads, this includes 9 new ring roads around the city in the developing areas as Deira and Bur Dubai, Business Bay, Dubailand and the upcoming Jebel Ali Airport. The RTA also aims to have a metro network in place that will cover 318km, a tram network of 270km, a bus network of 3,000km and a marine transport network spanning 450km.However, this willstill be difficult for live traffic Dubai to cope with the exponential population growth and arrival of new immigrants. How to solve traffic congestion problem with Google maps Dubai? The live traffic Dubai update, which is easily available on the municipality’s website www.dm.gov.ae, currently take images from 24 special cameras installed in important locations in Dubai, including 15 in Diera and nine in Bur Dubai. Here are four lesser-known features that will help you get the most out of Google Maps. Do you remember your parked car out there? Does it take long hours to search for your parked car? If yes, you no longer need to curse your memory. Because just introduced it’s ‘Find your car in parking’ lot feature. You can actually ask Google to remember all your information for you. When you will park your car Google maps will pop up a window for you to save your location. You will be given the option to mark the location and note the nearby landmark. When it comes to traveling to new locations it gets difficult to find thelocation on your phone. A good solution is to find the location on your PC and send that to your phone. If you have thesame account on your phone as your primary email, then you can easily send the location on your phone. The best thing about Google map is that now with Google Maps Dubai you can check the highly congested areas and take the alternative route prior you start your trip. Whenever you set the starting point and the endpoint, Google lets you choose the route with the least traffic on the road. No need to worry about losing the map while you are on the route. Now Google provides you the option to download Google Maps for offline navigation. To download offline maps on your mobile device, tap the Download button to save that map. You can then see what you’ve saved by tapping the three-line menu button in the search bar > Offline Areas. In most cases, you can still navigate and search for destinations in this mode. Public transport has to be aggressively promoted too. According to RTA, 539.56 million riders used public transport in 2015, a notable increase from the 531.35 million riders in 2014. In the first six months of this year alone, 273,452,791 riders took public transport in the first half of 2016, up from the 271,302,000 riders in the same period last year. In order to avoid the traffic jam, you need to learn how to use Google maps Dubai. You have an idea? We have a team to make that idea into reality. Let us turn your idea into digital space. Branex.ae will help you create adazzling and hair-raisingly beautiful website for you. How to use Google Maps Dubai to avoid traffic congestion?